Due to poor air quality, events & activities for Nov. 15 are cancelled. StanFresh Produce Market is an on-campus farmers' market that occurs only in the fall semester. All the fruits and vegetables are grown here on campus at the Sustainable Garden. 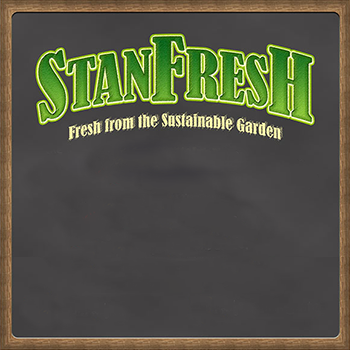 StanFresh is student driven, as it is part of the Agriculture curriculum and tied to multiple classes. Revenues go toward supporting the Ag Program and continuation of this project into the future. Now accepting Cash & Cards! Beets – Carrots – Kale – Calamondins – Green Onions – Cilantro – Eggplant – Peppers – Squash – Flowers* – Basil – Cucumbers – Green Beans – Okra – Lettuce – Radishes – Tomatoes – And More! * If you bought a vase of flowers from a StanFresh previously and want new flowers, please bring your StanFresh vase back for a discount!